Kent Parsons is a native of Baton Rouge, LA who earned a Bachelors of Arts Degrees in Political Science from LSU and a Juris Doctorate from the LSU Law School in 1981. The focus of his practice for almost 4 decades has been a blend of regulatory, administrative and litigation practice with extensive work in all phases of the oil and gas industry including development, exploration, production and transportation. 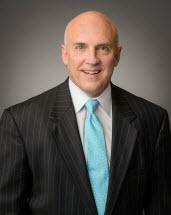 His work has also included extensive experience representing clients including independent power producers, local distribution gas utilities, trucking companies, telecommunication companies as well as industrial, commercial and residential ratepayers, before the Louisiana Public Service Commission and other regulatory bodies requiring trials of rate cases and numerous compliant proceedings before state and federal courts. Kent served as lead counsel for a major expropriation/eminent domain project involving 440 separately owned parcels spread across more than 75 acres in mid-city New Orleans for the new LSU Medical Center and Veteran's Administration Hospitals. The project spanned 7 years and involved more than 125 separate lawsuits in Orleans Civil District Court. Kent is a Co-Managing Shareholder for the Firm. He has consistently been recognized with an AV Rating by Martindale Hubbell and he was been fortunate to serve in an advisory role to recent Governors and their Commissioners of Administration.